Get set to pay more interest on your home loans, while your deposit rates too could go up as the Reserve Bank of India on Wednesday raised its benchmark repo rate for a second consecutive time by 25 basis points (0.25 per cent), over rising inflationary concerns even as it maintained a “neutral” stance citing risks were evenly balanced. The central bank had raised repo rate by 25 basis points in June to 6.25 per cent, its first hike since 2014 and it will now further go up to 6.50 per cent after today's hike. Consequently, the reverse repo rate will get adjusted to 6.25 per cent, and the marginal standing facility (MSF) rate and the bank rate will be at 6.75 per cent. The key driver behind RBI's rate hike was retail inflation touching 5 per cent in June, versus its 4 per cent medium-term target. “The main reason for changing the policy rate is to ensure that on a durable basis we get to maintain the 4 per cent target. 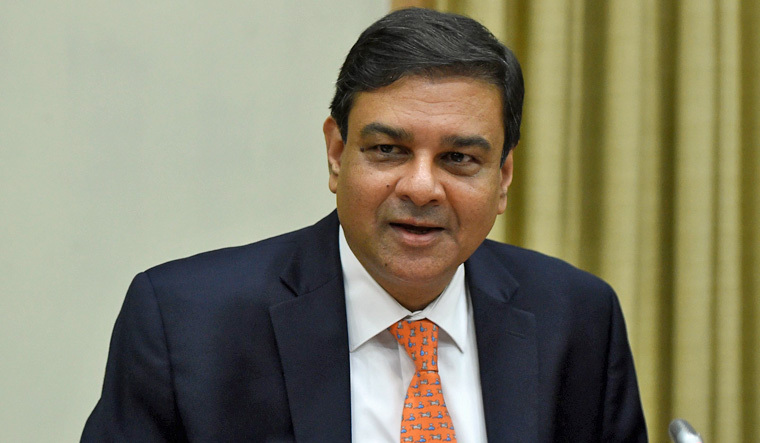 We have been away from the 4 per cent number for several months now and we took two steps, once in June and once in August to maximise our chances that we don't drift away from 4 per cent and in fact move towards 4 per cent,” said Urjit Patel, governor, RBI. Five members of the six member monetary policy committee (MPC), including Patel, voted in favour of an interest rate hike. While food inflation remained muted in June, core inflation has consistently been high. Going ahead, several factors will shape inflation. The much larger hike in minimum support prices (MSP) on agri produce will have a direct impact on food inflation, although the exact impact will depend on the scale of government's procurement operations, noted RBI. Further, despite some moderation in the last few weeks, crude oil prices remain at elevated levels. Also, inflation excluding food and fuel too has risen significantly, reflecting greater pass through of higher input costs and improving demand. The government's move to cut Goods and Services Tax on several goods recently, may reduce inflation to an extent, but only if the reduction is passed through by companies. RBI now sees the consumer price index (CPI) inflation at 4.6 per cent in the second quarter (July-September), 4.8 per cent in the second half of the year-ending March 2019 and at 5 per cent in the first quarter (April-June) of 2019-2020. “There is a fair bit of uncertainty around the CPI prints going forward and therefore, it was important that we kept our options open depending on the prints coming over the next few months, given the volatility in the prints. That's why we emphasised we would need to monitor the domestic inflation outlook in the coming months very carefully,” said Patel. Some economists say tightening of monetary policy by the US Federal Reserve, which is expected to further raise interest rates through the course of the year, could have also weighed on MPC. “Even though domestic factors such as rising core inflation, likely impact of farm MSP hikes and a depreciating currency are at play, we believe that MPC is also playing catch up with the normalisation happening in the developed world. The US long term (bond) yields are already hitting the 3 per cent mark. Maintenance of an attractive yield differential was therefore paramount for the MPC at this time,” said Karan Mehrishi, lead economist at Acuite Ratings and Research. Meanwhile, RBI has noted that India's economic activity has continued to remain strong and the progress of the monsoon so far, coupled with the higher MSPs could raise farm income and thus boost rural demand. Investment activity too has remained firm despite some tightening of financing conditions in recent period. RBI is concerned over the rising trade protectionism, which it said poses a “grave risk” to near-term and long-term global growth prospects by adversely impacting investment, disrupting global supply chains and hampering productivity. “The trade skirmishes evolved into tariff wars and now we are possibly at the beginning of currency wars. Given this, we have to ensure we run a tight ship on the risks that we control to maximise the chances of ensuring macroeconomic stability and continuing with a growth profile of 7.0-7.5 per cent,” said Patel. RBI has retained India's GDP growth projection for the current financial year at 7.4 per cent, while it expects GDP in the first quarter of 2019-2020 to be around 7.5 per cent. The State Bank of India, India's largest lender, had already raised deposit rates earlier this week by 5-10 basis points and following the repo rate hike by RBI, other banks too could follow suit and raise their interest rates on deposits. Loans will also get slightly expensive. “With an increase in policy rates, bank deposit rates are expected to rise as well. In June, several leading banks had increased their MCLR (marginal cost of funds-based lending rates). With the rate hike today, we will see loans get costlier,” said Adhil Shetty, CEO, BankBazaar.com.